As reported by Variety, A&E has added a few more famous people (and some less-famous people) to that Roots remake that will air on a bunch of networks next year. 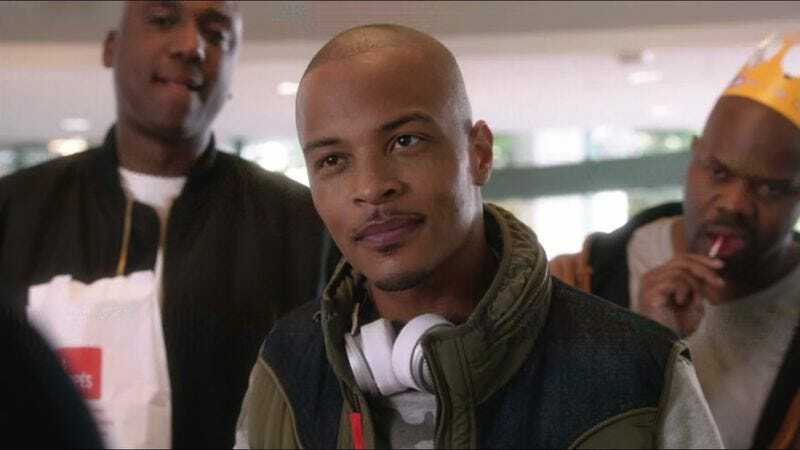 First up is rapper T.I., whose real name is apparently Tip Harris (but we’ll keep calling him T.I. because it ruins the mystique otherwise). He’ll be playing Cyrus, a soldier fighting for the Union Army who will be “featured prominently” in the final episode of the miniseries. In addition to T.I.p Harris, Roots has also added E.R.’s Mekhi Phifer as Jerusalem, “a mute slave” who “is not quite what he appears to be,” as well as The Following’s James Purefoy as a plantation owner who buys Kunta Kinte when he arrives in America, and Watchmen’s Matthew Goode as the “charming and well-educated brother” of Purefoy’s character. Rounding out the less-famous people are Lane Garrison (Prison Break), Emayatzy Corinealdi (Hand Of God) and G. Hannelius (Dog With A Blog). They’ll be joining Laurence Fishburne, Forest Whitaker, Anna Paquin, and Malachi Kirby (as Kunta Kinte) in the miniseries.